Fifteen years ago, when we were just starting to build the FPB Series prototype Wind Horse, we put together a video on the design cycle that lead to this new design. There was detailed information on her drag and motion analysis, including tank testing, as well as the historical foundation from which her design was developed. We hadn’t revisited these videos since we first posted them those many years ago. We enjoyed looking back at this bit of FPB history and thought you might too. 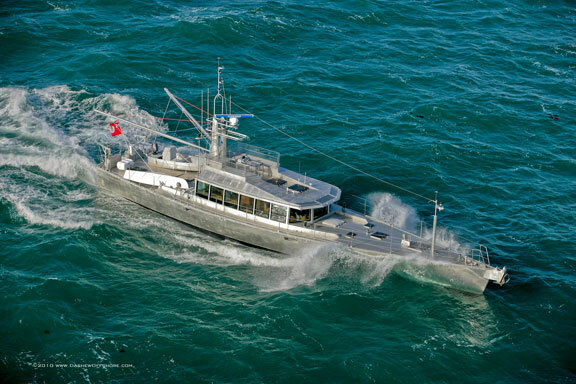 This entry was posted on Tuesday, May 15th, 2018 at 11:58 am and is filed under Dashew Logs, Dashew Offshore History, FPB 83, FPB-83 Videos, The Logs, Videos & Slideshows, Yacht Design. Both comments and pings are currently closed.